Keeping little ones entertained while we cook can be trying. In 4 Ways to Entertain Your Kids While You Cook: What a Good Eater Podcast, Amy and Ali offer helpful tips on how to keep your kids happy and busy so you can put dinner on the table. Check out the What a Good Eater! 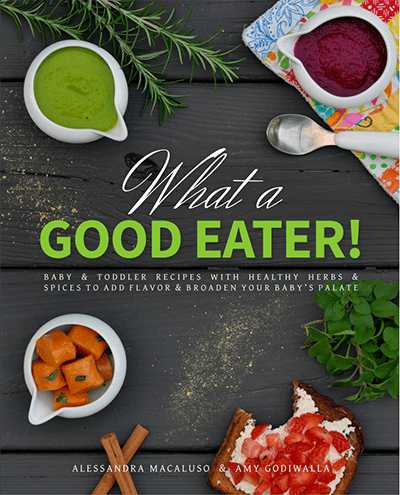 cookbook for fantastic family friendly meals, sample food schedules by age, healthy snack ideas by age, tips on how to deal with picky eating, and meals ready in about 30 minutes or less for busy parents!